Those opposed to spurring development and adoption of renewable solar and wind energy resources continually assert that their intermittent nature not only reduces grid reliability and raises the cost of electricity, but negates the carbon and greenhouse gas emissions reductions that contribute so greatly to their rapid adoption in the first place. 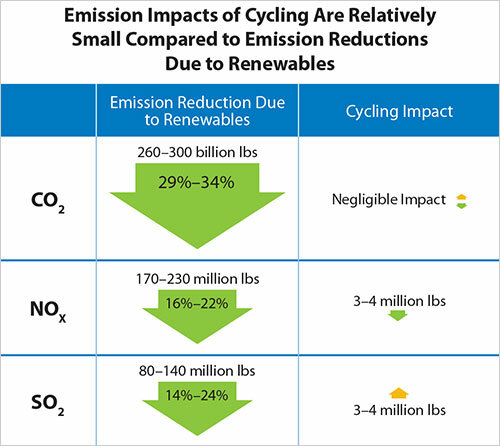 While it’s true that bringing greater amounts of solar and wind-generated electricity on grids means utilities have to cycle more frequently – ramp down and ramp up or stop and start – fossil fuel generators to ensure a smooth, reliable flow of electricity, a study by the US National Renewable Energy Laboratory (NREL) shows that the carbon emissions that result from cycling are negligible – less than 0.2% – of the carbon reductions realized by generating electricity from the sun and winds. 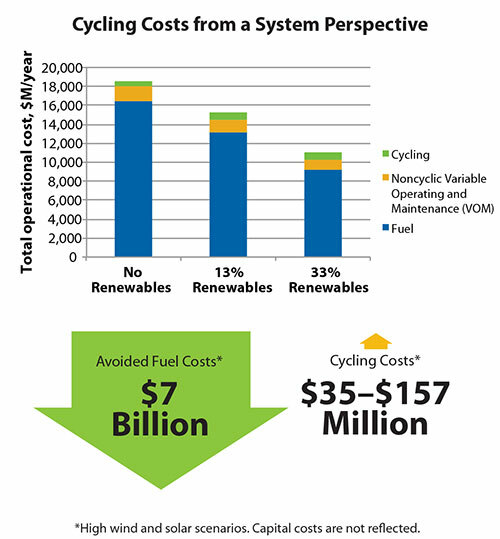 Not only that, but the research revealed that bringing “high levels of wind and solar power [on to the grid] would reduce fossil fuel costs by approximately $7 billion per year across the West, while incurring cycling costs of $35 million to $157 million per year.” That amounts to an increase in operations and maintenance costs of only $0.47-$1.28 per megawatt-hour (MWh) of electricity generation for the average fossil fuel power plant, according to a September 24 NREL press release. How can this be? 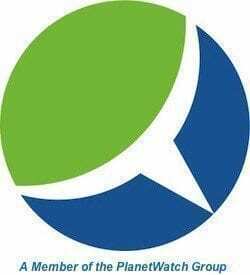 The explanation lies in the fossil fuel costs utilities avoid by making greater use of solar and wind energy generation. “Grid operators have always cycled power plants to accommodate fluctuations in electricity demand as well as abrupt outages at conventional power plants, and grid operators use the same tool to accommodate high levels of wind and solar generation. Besides determining that the carbon emissions associated with greater cycling of fossil fuel generating capacity is negligible (<0.2%) compared to the reductions from bringing wind and solar energy generation on to the grid, the NREL project team found that sulfur dioxide emissions reductions from wind and solar are 5% less than expected due to greater cycling of fossil fuel generators. Nitrogen oxide emissions reductions were 2% greater than expected. To calculate the emissions and cost of wear-and-tear, the NREL research team designed five hypothetical scenarios to examine generating as much as 33% of the U.S. portion of the Western Interconnection power system for the year 2020 from wind and solar energy. “This is equivalent to a quarter of the power in the Western Interconnection (including Canada and Mexico) coming from wind and solar energy on an annual basis,” the report authors explain. On average, it takes 4 MWh or renewables to displace 1 MWh of coal generation and 3 MWh of natural gas, according to the researchers, with the ramping up and down of coal-fired power plants having the biggest potential increase in terms of cycling. Because of sunset and sunrise, solar power creates the biggest ramping needs on the grid in this study. However, because we know the path of the sun through the sky every day of the year, system operators can predict these large ramping needs and plan accordingly. Solar variability due to fast-moving clouds is much less predictable, but it creates relatively smaller ramping needs. Errors in day-ahead wind forecasts can make it challenging for operators to decide which power plants need to be online the next day. However, because forecast accuracy increases four hours ahead compared with 24 hours ahead, a four-hour-ahead decision on whether to start up those power plants that can be ramped up relatively quickly can help to mitigate these forecast errors. Despite the differences between wind and solar in terms of grid operations, the study finds their impacts on system-wide operational costs are remarkably similar.